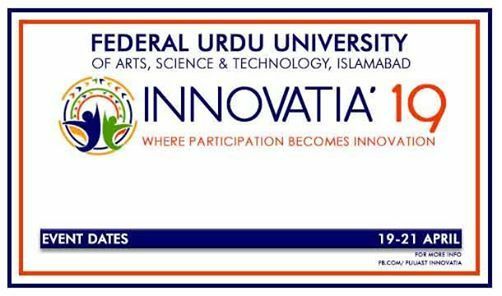 FUUAST INNOVATIA Is the Mega Event of Federal Urdu University of Arts, Science and Technology Islamabad held in the spring semester of every year. 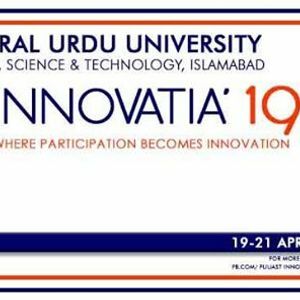 INNOVATIA'19 will held this year from 19th-21st April, the biggest Extravaganza of the year which contain Social, Engineering, Cultural, E-Gaming and sports Events. Over the years it has achieved a Status envible prominence in the domain of high education landscape not only in the capital but across the country ! Registrations will be starting soon !